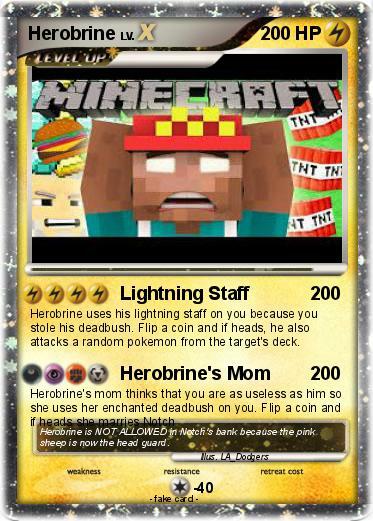 Herobrine uses his lightning staff on you because you stole his deadbush. Flip a coin and if heads, he also attacks a random pokemon from the target's deck. Comments : Herobrine is NOT ALLOWED in Notch's bank because the pink sheep is now the head guard.